Conor McGregor has not fought in the Octagon since capturing the Ultimate Fighting Championship lightweight belt from Eddie Alvarez in November 2016. Since that fight, McGregor has taken on one of the greatest boxers of all-time in Floyd Mayweather Jr. Despite losing the bout, McGregor took home a purse estimated at over $ 100 million. Nick Diaz, who stole our hearts with his in-cage rantings and out-of-the-cage ramblings, is at it again. No, I’m not talking about more domestic violence charges, or another USADA suspension. I’m talking about him challenging UFC light-heavyweight and heavyweight champ Daniel Cormier to a fight. At least, that’s what I think he’s doing. He might be challenging Brock Lesnar… or even Anderson Silva (who he already fought). I don’t know. Sometimes when the older Diaz brother starts rambling, I lose track of what he’s trying to say. This is also true of Nate, the younger Diaz brother, by the way. The post Nick Diaz Challenges Daniel Cormier… I Think… appeared first on Caged Insider. Unsurprisingly, Weidman thinks his stoppage win over Kelvin Gastelum should grant him the next title shot at 185 pounds. Chris Weidman has been out of action for several months now as he nurses a bunged up thumb injury he suffered in his July victory over Kelvin Gastelum. 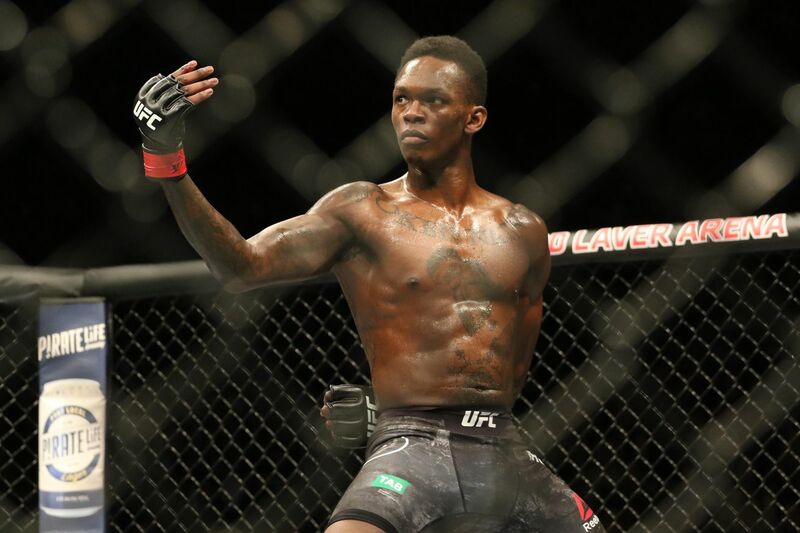 But that didn’t stop him from flying all the way to Australia for UFC 221 where the future of his division was being decided. Even with all signs pointing towards the winner of the Luke Rockhold vs. Yoel Romero semi-interim fight getting the next shot at Robert Whittaker, he made his case to reporters in Perth that he was the most deserving. ”He just had a loss to Whittaker,” Weidman argued. Unfortunately for Weidman, that loss from UFC 213 and Romero missing weight didn’t stop UFC president Dana White from confirming Romero as next up for Whittaker. A small glimmer of hope opened up for “The All American” when Yoel declared he’d broken his leg en route to his third round victory over Rockhold. But doctors soon cleared that up and declared Romero ‘good to go’ with a few weeks rest. That’s longer than it will take for Weidman to get back to training. We assume he’s talking about stem cells. Why fighters aren’t soaking in the stuff like Neo in the Matrix is beyond me. 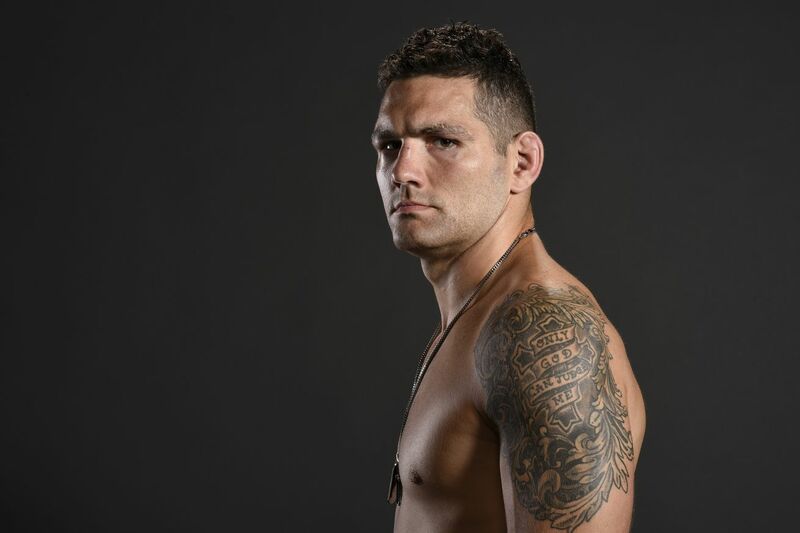 Regardless of his thumb, it sounds like Weidman will be stuck on the sidelines with no title shot unless something crazy happens … which given the past two years at 185 pounds, is not that unlikely. The post Conor McGregor’s Coach Doesn’t Think Ferguson vs. Nurmagomedov Will Happen appeared first on Caged Insider. Volkan Oezdemir earned his light heavyweight title shot with a breakout 2017 campaign that included finishes of Jimi Manuwa and Misha Cirkunov in a combined 70 seconds.